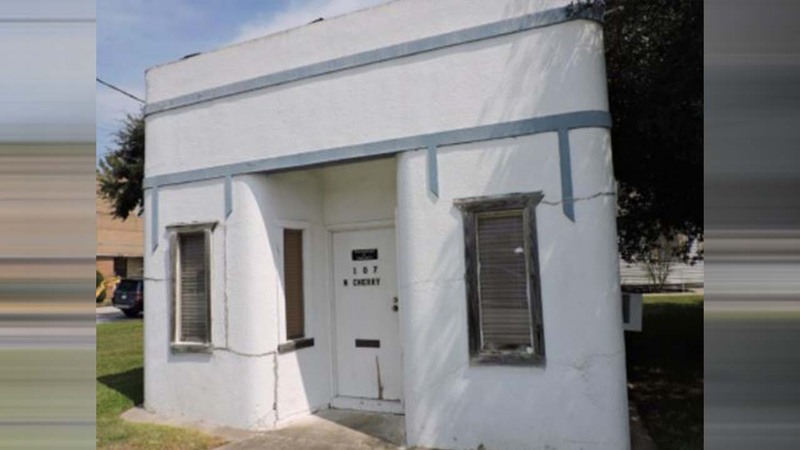 HOUSTON, Texas (KTRK) -- Hidden away near Cisco's Salsa Co. on North Cherry Street, many residents may not be aware that Tomball's first City Hall building is still standing-but not for much longer. Tomball City Council discussed what to do with the old building during last night's second budget workshop for the 2017-18 fiscal year. The building was brought up as a budget item following comments in November from residents and city staff. Built in the 1930s, the building has been abandoned since the late 1990s, according to city staff. The original City Hall building is located at 107 N. Cherry St., less than half a mile from the existing City Hall on Market Street, which was built in the late 1960s. Although the council and staff agreed the original building needs to be treated for mold and lead and torn down for safety issues beyond repair, council members were torn on whether to restore the original building once it is demolished. "I am a big believer in history, but I've asked many people about this building since we started talking about it; the majority of the people don't even know that building is there, and they drive by it every day," Council Member Mark Stoll said. "If we did tear it down and rebuild it, technically it's not history anymore. It's not the original building, in my opinion. But what would we do with it? It's really not that big of a building-you can't do much with it." Council Member and Mayor Pro Tem Lori Klein Quinn led the meeting in Mayor Gretchen Fagan's absence July 5 and said the community would notice if a piece of city history were to be torn down. "I think that as soon as this demolition starts, we will have more people calling and asking, 'What are you doing and why are you doing it?'" she said. "I really think that we ought to be prepared to act on (rebuilding) it and keep (money for) it in the budget." However, should the City Hall be replicated, council members were undecided on what to do with the building. During discussion in November, residents proposed using the building as a museum; however a final decision was never made. "What does the public want with this building? What do they want to see?" Council Member John Ford said. "My position on this would be let's level it and do the abatement and see what kind of input we get after that. If there's no input to raise a new building, then let's not raise a new building." Mold abatement and demolition alone will cost approximately $30,000, according to City Manager George Shackelford. The cost of tearing down and rebuilding combined is estimated to be closer to $160,000. As of Wednesday night, the council decided to move forward with abatement and demolition while postponing any decisions on whether to rebuild until the city can seek more feedback on what to do with the building. The city has not announced when the existing building will be demolished. The city will hold its third and final budget workshop July 17, followed by two public hearings before the council votes on the final version of the budget.